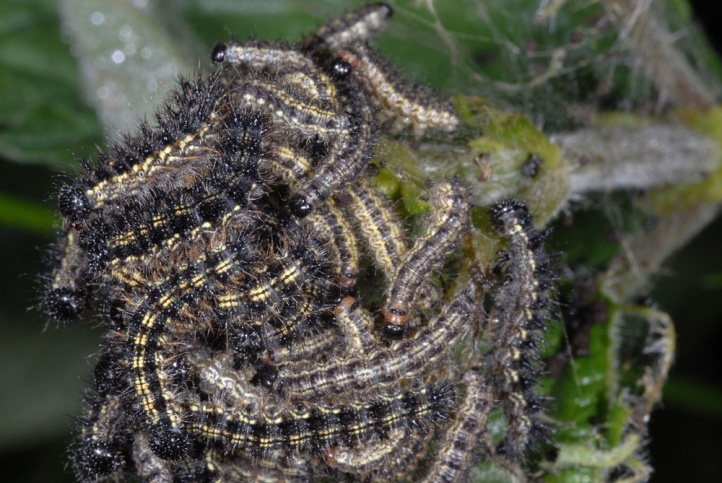 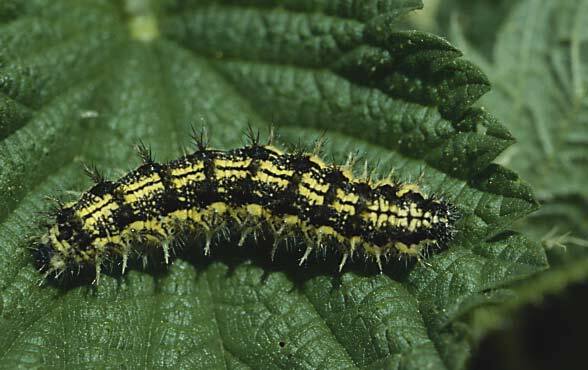 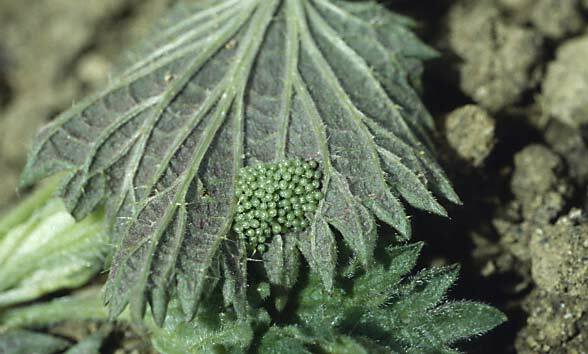 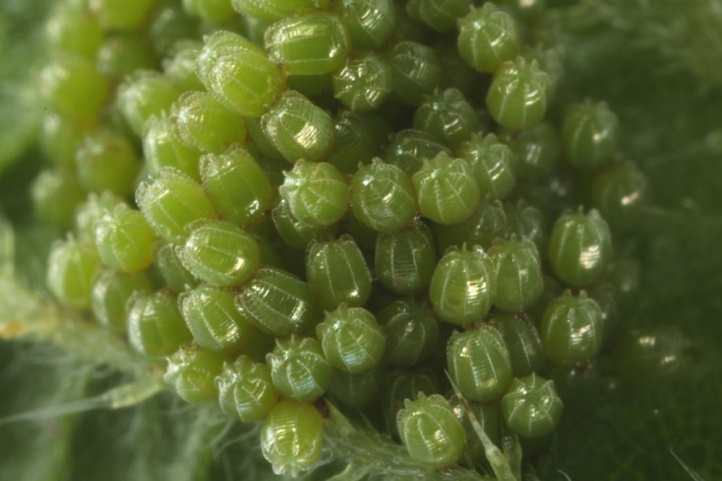 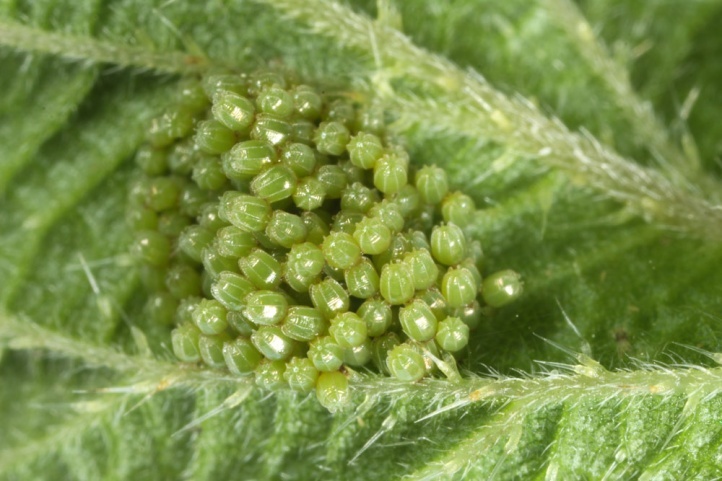 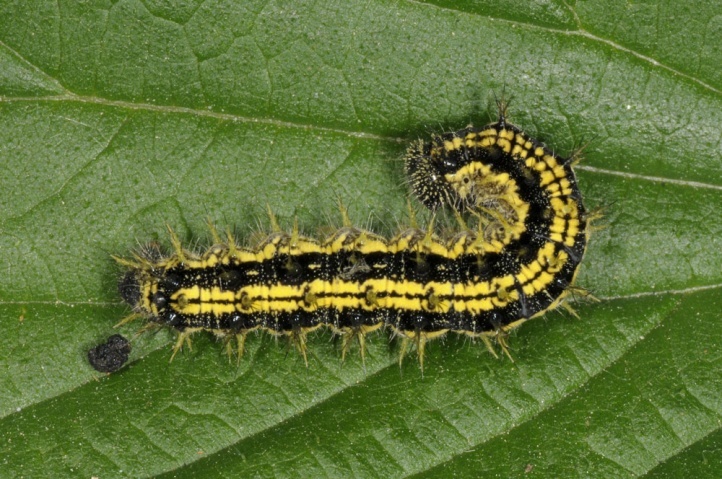 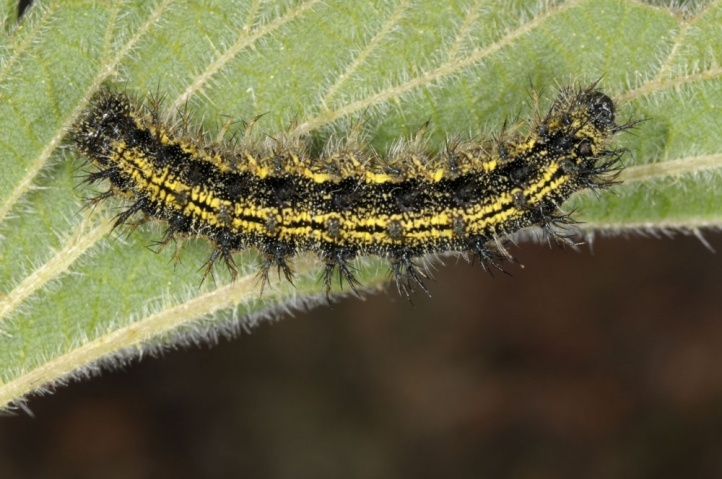 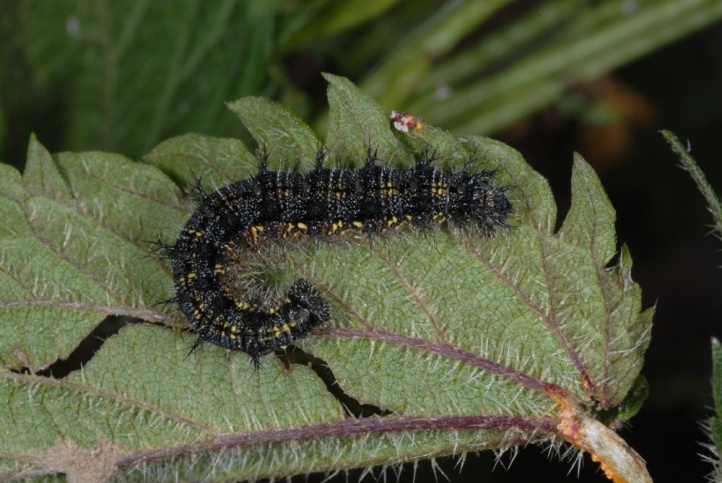 The larvae feed on Urtica species, in Central Europe usually Urtica dioica. 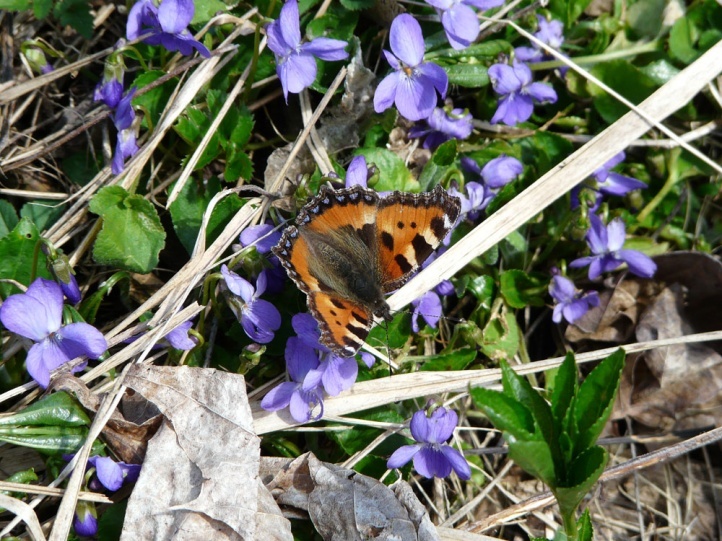 Nymphalis urticae inhabits all more or less open habitats in Central Europe. 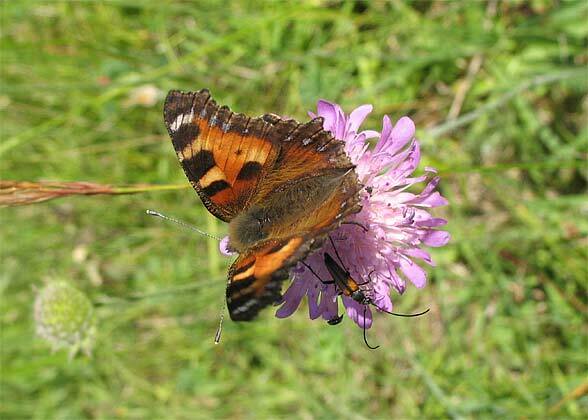 The butterfly rises high into the mountains and still reproduces successfully in 2500m above sea level. 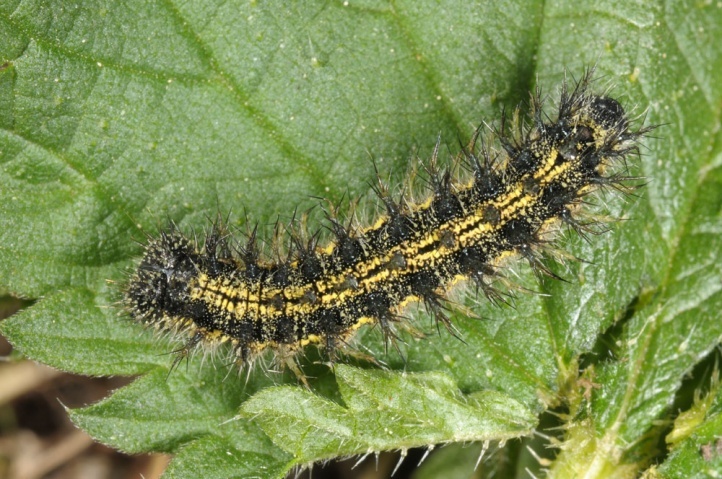 Compared to Nymphalis io, Nymphalis urticae is more common in cooler areas and scarcer in low and warm regions. 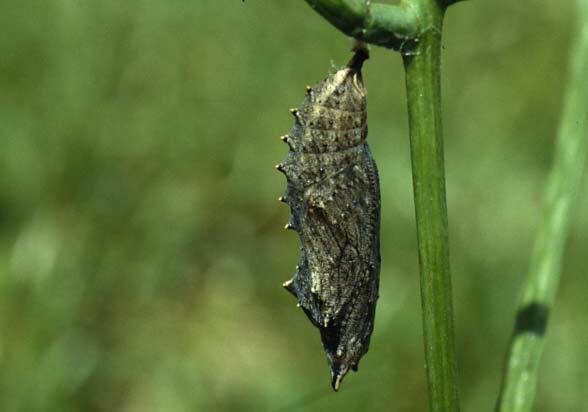 The larval habitats are especially located in the sunny open country. 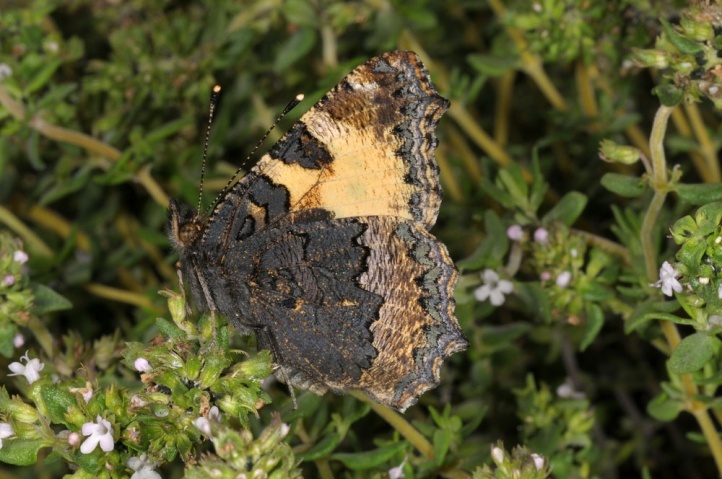 But Nymphalis urticae is observed more frequent than Nymphalis io in partly shaded woodland fringes and clearings. 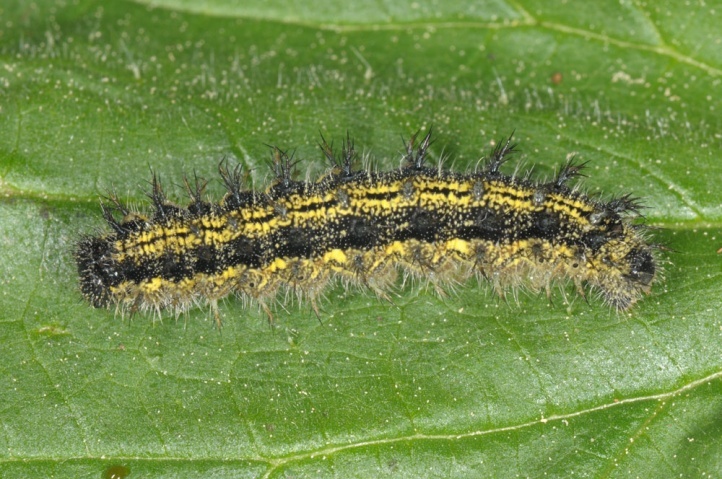 Nymphalis urticae flies in two, in warm years also partially three generations. 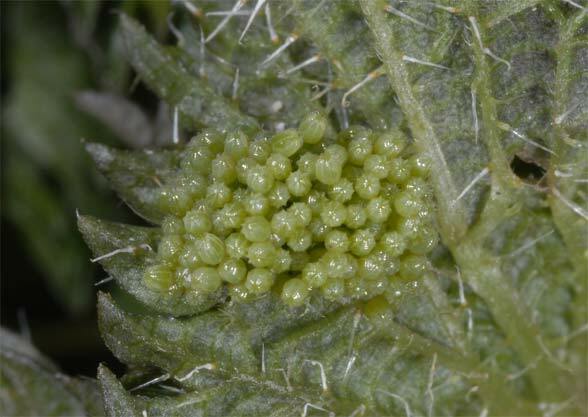 At high altitudes in the Alps just a single generation is formed, which can be composed of heterogeneous individuals due to the migration. 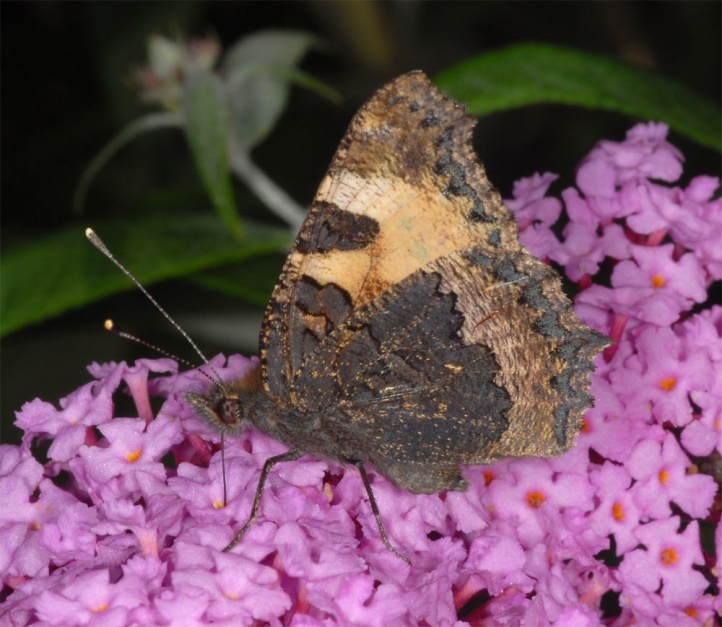 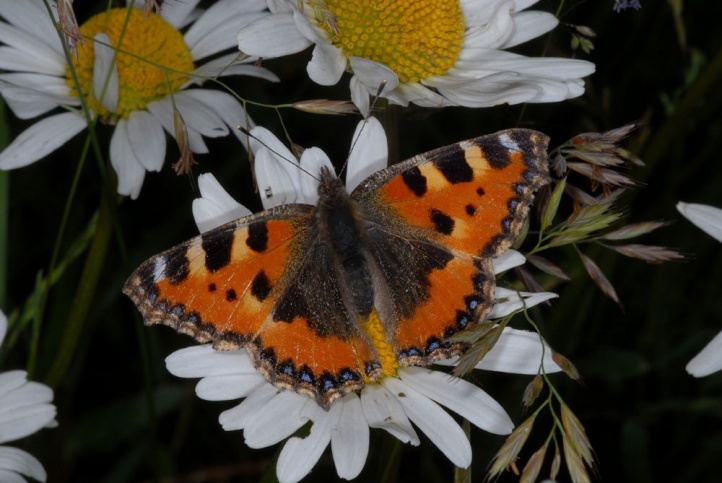 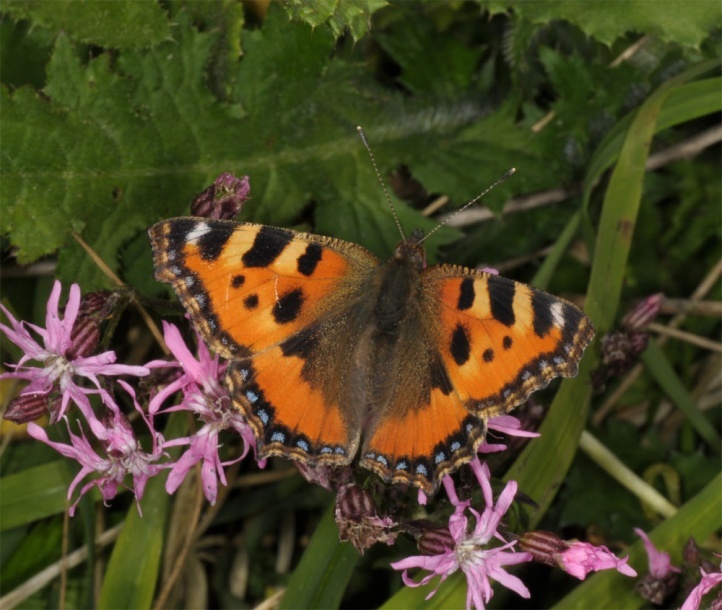 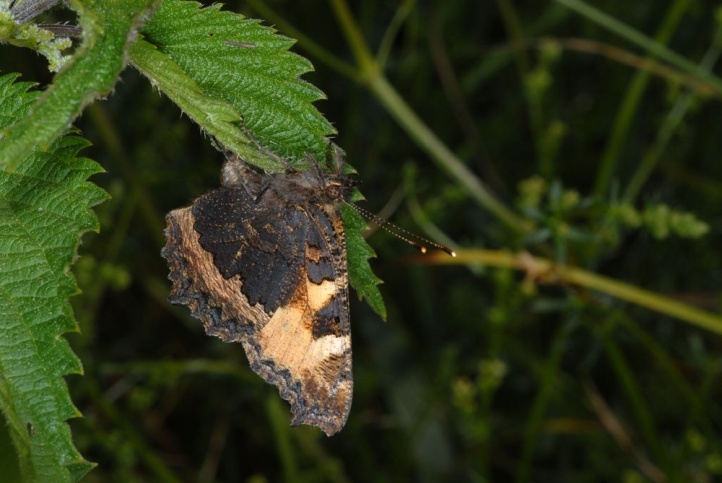 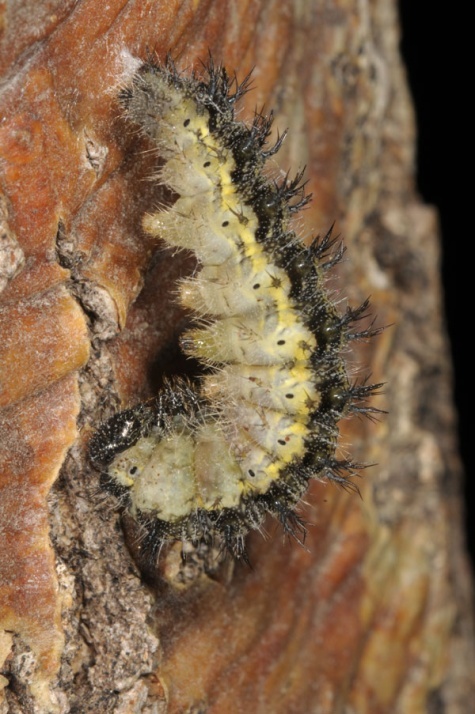 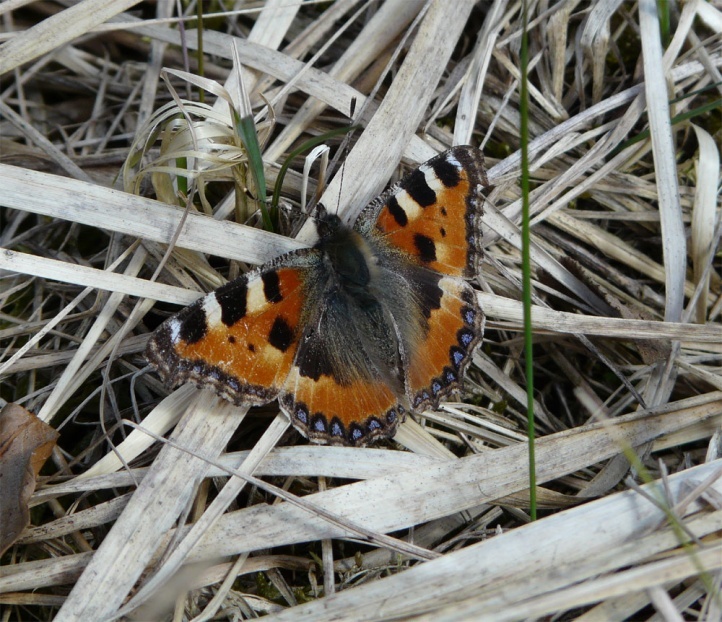 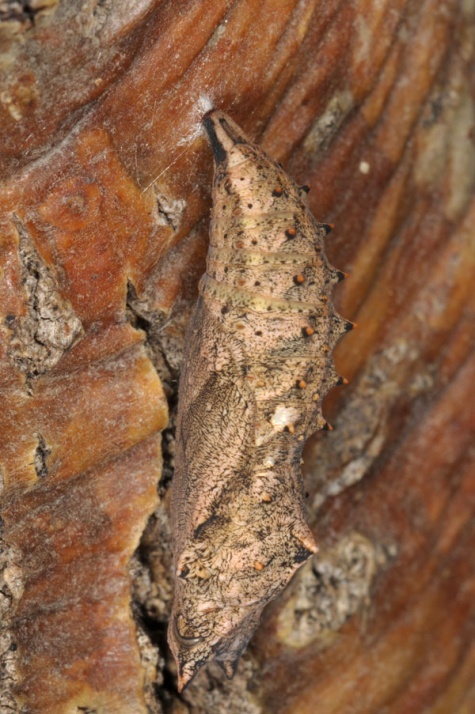 Adults are already seen on sunny days in mid/late February, the caterpillars from mid-April to June. 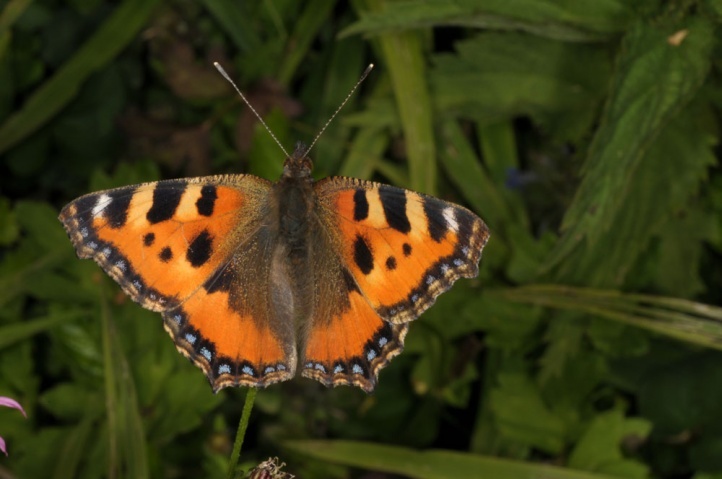 Fresh adults usually appear in early June, only rarely already in late May. 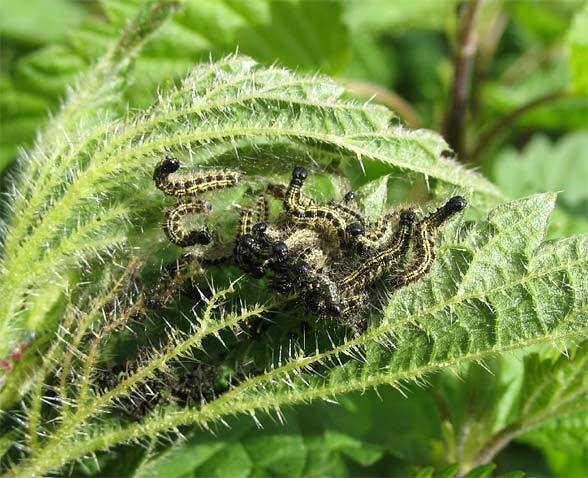 The caterpillars of the subsequent generations are found from late June through to September/October. 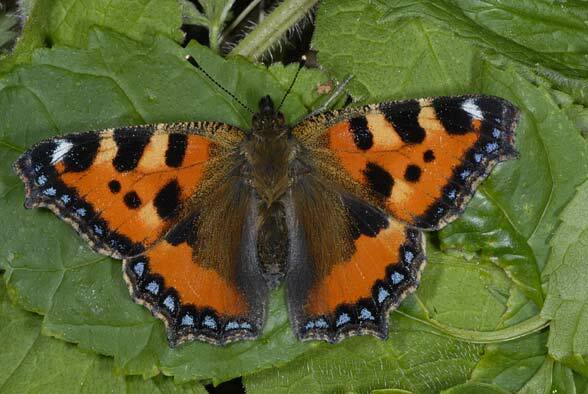 The adults overwinter. 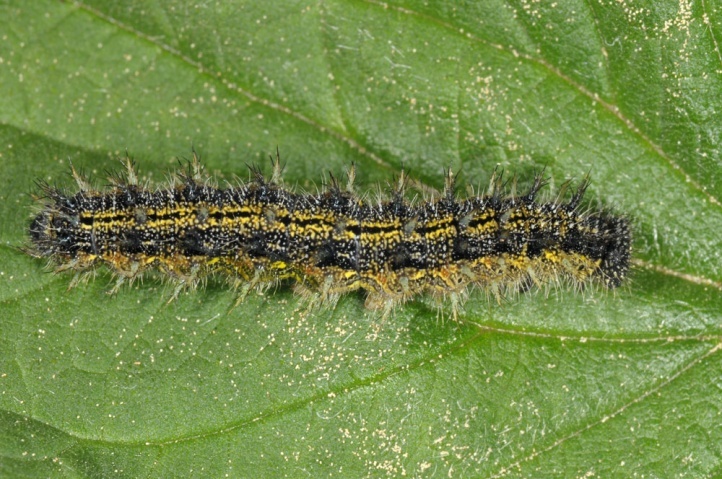 Nymphalis urticae is not endangered and profits from a general eutrophication of the landscape. 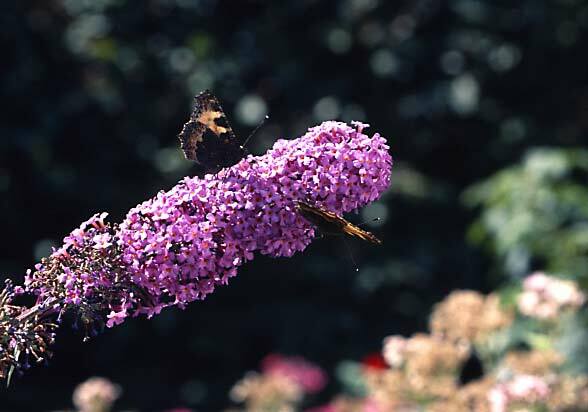 The distribution extends across Europe and Asia to the Pacific. 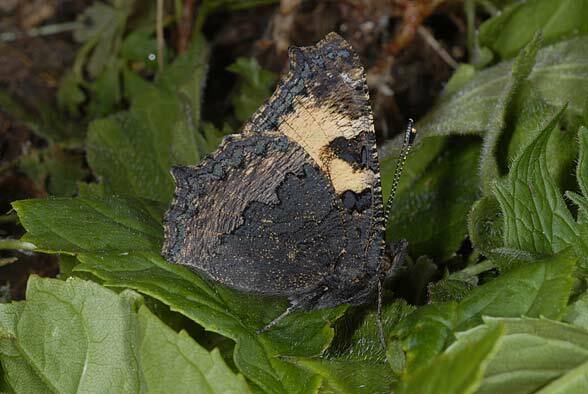 In Southern Europe Nymphalis urticae occurs more in the mountains. 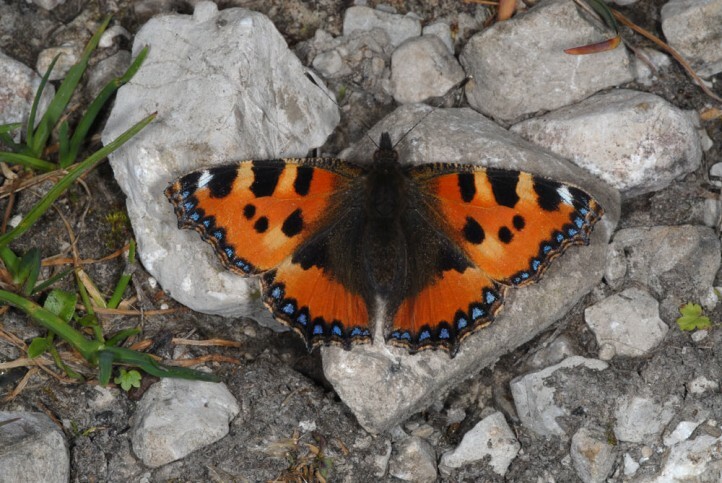 On Mount Olympus I observed many adults up to 2900m above sea level in July 2012.